No, an osteopath is a primary health care practitioner, which means there is no need for a referral. All you need to do is call and make an appointment. Can I claim my osteopathic treatment on private health insurance or Medicare? Most private health plans with extras cover a portion of the treatment cost. Our clinic also has the HICAPS facility which allows you to claim this portion on-the-spot by scanning your Private Health Insurance card. Osteopathic treatment is not covered by Medicare unless you are under an Chronic Disease Management (CDM) plan organised by your General Practitioner. The Chronic Disease Management Plan (formerly EPC) plan is a Medicare scheme which allows eligible patients with chronic conditions up to five allied health services per year. At time of your osteopathic treatment, a standard consultation rate applies. Out of this you will then be able to claim a rebate of approximately $50 back from Medicare. A gap fee is therefore paid for as an out of pocket expense by patient. Please ring our clinic to see what standard fees are at this time. If you feel that you may be eligible to claim osteopathic treatment under a Chronic Disease Allied Health plan, please speak to your general practitioner. Patients who may be eligible for the Chronic Disease Management Plan – Allied Health Services program are those who are suffering from a chronic (long standing) condition. This may include conditions/symptoms such as arthritis, repetitive strain injuries (eg tennis elbow), neck related headaches, chronic low back pain, muscular pain etc. It is up to your GP’s discretion as to whether you are eligible to participate in the program. The Chronic Disease Management Plan – Allied Health Services program entitles eligible patients to a rebate from Medicare for 5 treatment sessions per calendar year. Please note that the full cost of the osteopathic consultation is still paid for on the day of treatment, and you will be given a receipt stating that it falls under the Chronic Disease Allied Health Services program. You then have the option of either taking the receipt with you into a Medicare outlet, or alternatively if you have an eftpos card (not a credit card) we can claim it back for you on the spot with our HICAPs/Medicare terminal. The gap is still an out of pocket expense. Medicare keep a record of your out of pocket expenses, and when a threshold is met (usually $1058 depending on the individual), a higher rebate for other claims may be given (this is the extended Medicare safety net). A Chronic Disease Management Plan must be prepared by your GP (your doctor) before consulting with your osteopath. If you are experiencing musculoskeletal or related symptoms ask your GP if you are eligible to go on the Chronic Disease Management program. If so, your GP will write you out a referral form including a brief overview of your case. Then all you have to do is give this form to your osteopath. Your osteopath will then report back to your GP if necessary. Is Osteopathic treatment claimable under Workcover, TAC or Veterans Affairs? Yes, osteopaths are able to treat patients supported by third-party insurers such as Workcover, the TAC or Dept of Veterans Affairs. TAC and Workcover patients are required to provide details of the claim number for their case and the name of the contact they are giving from the insurer. Patients who are covered by the Department of Veterans Affairs must first obtain a referral from their General Practitioner made out to the osteopath they are booked in to see. Please bring any x-rays, CT scans, MRI scans or any other test results that you feel are applicable to your first consultation. Your osteopath is also able to refer you for X-rays or further testing should they be required. What happens during my first treatment? Upon arrival you will be asked to complete a brief questionnaire which details your past medical history and presenting complaint. Your osteopath will then take a detailed history of your condition as well as any other relevant medical history such as previous trauma, accidents or medications. A thorough physical examination will follow which includes analysing specific movements and hands on assessment of the problem region. An osteopath looks at the body as a unit, which means that the examination of your body may include an assessment of adjoining regions in order to assess the overall effect of your complaint. 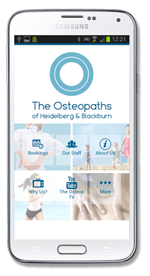 Once a definitive diagnosis has been made the osteopath will use a variety of hands on techniques which may include soft tissue massage, joint manipulation, stretching and gentle connective tissue balances aimed at restoring health to the effected area. Your treatment may also include advice on postural, exercise or dietary changes you can make to aid in your recovery. Your initial consultation will last anywhere from half an hour to an hour and any subsequent consultations, should they be required, are half an hour. Every patient who walks through our doors is different and is treated as such. Osteopaths tend not to follow any ‘recipe book’ for treatments, regardless of the problem, which makes it a difficult question to answer. In general, the longer the problem has been there, the longer the recovery, but factors such as posture, compliance with exercises and the frequency of treatment can directly affect your recovery. Your osteopath will give you a clear idea as to your prognosis and any changes to it as your treatment progresses. What is the difference between Osteopathy, Chiropractic and Physiotherapy? This is one of the most common questions we are asked. There are some similarities between the three modalities in both conditions treated and in some of the techniques used. The main differences are found in the philosophies behind each modality and how the principles of treatment are applied. It is not for us to explain the theories behind Physiotherapy or Chiropractic, but the main principles of Osteopathy are that the body is a unit and that the structure and function of the body are interrelated. This means that dysfunction, or damage, to one area of the body can have drastic effects on other regions of the body. As osteopaths, we aim not only to treat the symptoms of the problem, but the cause behind them. In doing so, all of our techniques are hands-on and are specific to your condition and your medical history. These questions represent but a few of the many enquiries we have. Please don’t be afraid to ring our clinic to talk to one of the staff about your individual query.